It’s here, it’s here! 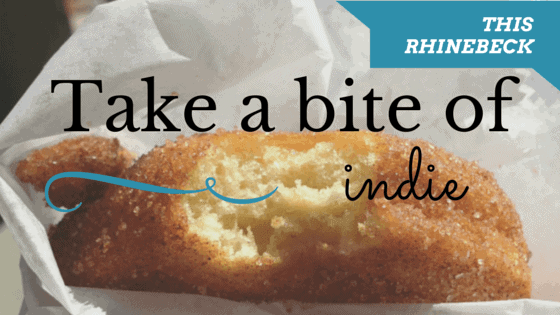 Rhinebeck weekend is here! If you’re in the Kingston area tonight (Friday 10/16), be sure to check out the IndieUntangled Rhinebeck Trunk Show occurring in the Best Western Plus, 503 Washington Ave. from 5pm – 9pm. 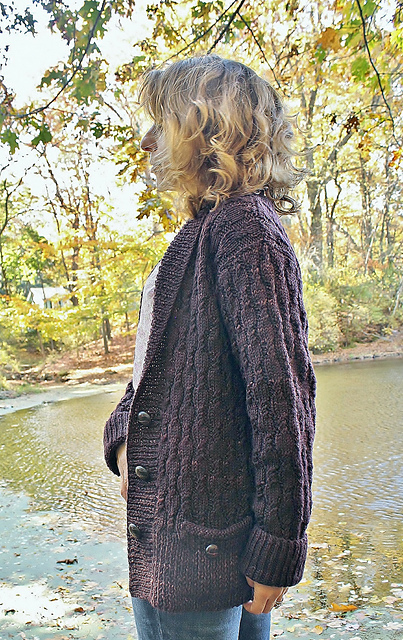 I created a limited edition Rhinebeck! scent available in both sheep-shaped goat milk soap and lotion bars just for this event. I tried to capture the essence of a great fall festival in this scent. It’s autumnal and fruity, with notes of fig, apple, cinnamon, fallen leaves, and mahogany. There are less than a dozen of each, so grab them at the show while you can (any leftover from the festival will be listed in the shop next week). My new Rhinebeck goal is progressing at a steady pace. Thank you for all your kind words on my last post, I appreciate the solidarity and encouragement! I’m one stripe further along than the photo shows, which means I have one final stripe, a garter stitch border, and a top edging to finish before tonight so that it can block and have it ready to hit the road with me tomorrow. We have a lot of driving to do today for Nana’s funeral, so I’m still hopeful that I will finish in time, but it is certainly down to the wire. If you’re heading up to the festival this weekend, I hope I get a chance to see you there, and if not, I promise to take pictures! With the wool festival occurring this weekend and the crazy stressful time we’ve been having over at the Morandi house, I’m finally admitting defeat: I will not finish my Rhinebeck sweater in time. If I were someone without a full time job, it might have been possible to finish, as there are just the right and left fronts, right and left sleeves, giant ribbed collar, and seaming left to do (hah!) but that’s just not going to happen in the next 5 days and I’m not even tempted to try. I will, however, aim to finish it shortly after the festival, as it will be wonderful to wear in the coming months. I’m admitting defeat with Spinzilla this year, too. Between my Polwarth sock yarn and Louet merino/silk, I didn’t even fill one whole bobbin! Based on my yards per pound calculations, I spun a paltry 3.2 oz and 380 yards, but it’s not nothing, and the spinning was soothing. Check out my interview with Subway Knits! In more uplifting news, I am still going to attend Rhinebeck, as my dear Fiasco reminded me that after all of the stress lately, I could really use a vacation. So I will be heading up sometime Saturday and since it wouldn’t be Rhinebeck without a lofty knitting goal, my new challenge will be to attempt to finish my Kelp-y Kelpie shawl in time to wear to the festival. This shawl has been hibernating since May of 2014 because I used the wrong color yarn to pick up the border stitches and then I just abandoned it. I resurrected it last night, fixed my mistake, and have gotten into the rhythm of the border now. I have 43 more border rows to complete, in addition to the bind-off, and some fiddly bind-off business along the top. All this needs to be completed in 4 evenings, if I want time to block the thing. Challenge accepted! This August might go down in my personal history as the Busiest of All Time. Between trips, conferences, work deadlines, Sweet Sheep orders, and now my old car breaking down (again), schedule coordination has become a delicate and barely-balanced art form around here. I might manage to get through it all intact, but things will be a little touch-and-go, especially since I feel like summer is speeding by before I’ve even had a chance to enjoy it! But enough whining, onto some knitting. Since these socks are so darn simple, they’ve been progressing at a rapid clip. That strange stripe of pooling in the middle of the leg is because my dear kitty Darwin took it upon himself to chomp through my yarn, so the color progression got out of whack when I spliced it back together. It gives the sock some extra personality, I guess? BMFA Twisted, colorway Grimm’s Green. Click for project page. A few weeks ago, I stress-impulse-purchased a gorgeous Galaxy batt from Yarnshine, on Etsy. The batt contains “celestial Bombyx Silk and Silk Noil blended into malachite and agean Bamboo, teal Soffsilk (mulberry silk), Black BFL, and Black Merino all accented by gorgeous, silvery Yak/Silk top” which was just plain irresistible to me, and it’s so lovely in person. Denise uses the same eco-conscious packaging that I do (yay!) and she included a little rolag that I happily spun up into a chain-plied sample. I haven’t washed the sample yet so it will probably plump up a bit more, but I’m not sure yet if I’ll do a 2-ply or 3-ply for the final yarn. 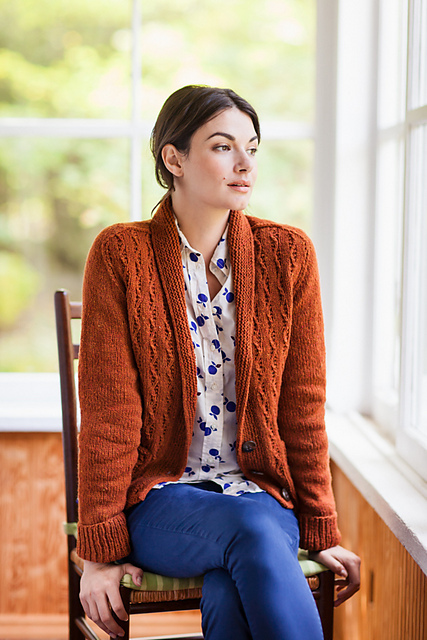 I’d love to use the yarn for something like a Hitchhiker or Libby’s new Industry shawl. How would you spin it? If you’ve been looking for some handmade soap, I’ve recently added a bunch to the shop! There are sheep-shaped goat milk soaps available in Chipotle Caramel, Lavender, and Lemon Cake, as well as layered whipped goat milk and honey soap in Coconut Lime and Orange Cream, and a fun Tropical Surprise soap scented with French Mango that contains embedded pieces of the Coconut Lime soap. As for reading, I’ve been steadily working my way through the Tiffany Aching YA Discworld sub-series written by Terry Pratchett. I’m now on the last one, I Shall Wear Midnight, and I have to say, his YA books are just as genius as his ‘adult’ ones, perhaps even moreso because he translates really complex ‘grownup’ world concerns with a certain simple elegance that I really appreciate. I’m so sorry he’s gone, but I’m so happy his words will always be around. They’re a wonderful legacy to his incredible brain. Hope your weeks are going well! Linking up with Yarnalong and Stitch Along Wednesday. Since the stars have aligned to allow me to attend Rhinebeck this year (for the Indie Untangled trunk show, check it out! ), and since this was also the year within which I completed my first ever handknit garment, I’ve decided that the coveted Rhinebeck Sweater needs to happen. I thought it might be educational to detail my thought process and first-real-sweater experience as I go, and since timing will be especially tight, it should make for entertaining blogging! (Will she or won’t she?!?!!? You can read about my pattern decision-making process here.Today, we’re going to talk about ease and choosing a size. I’m going to just get right to the point: swatching (in pattern!) 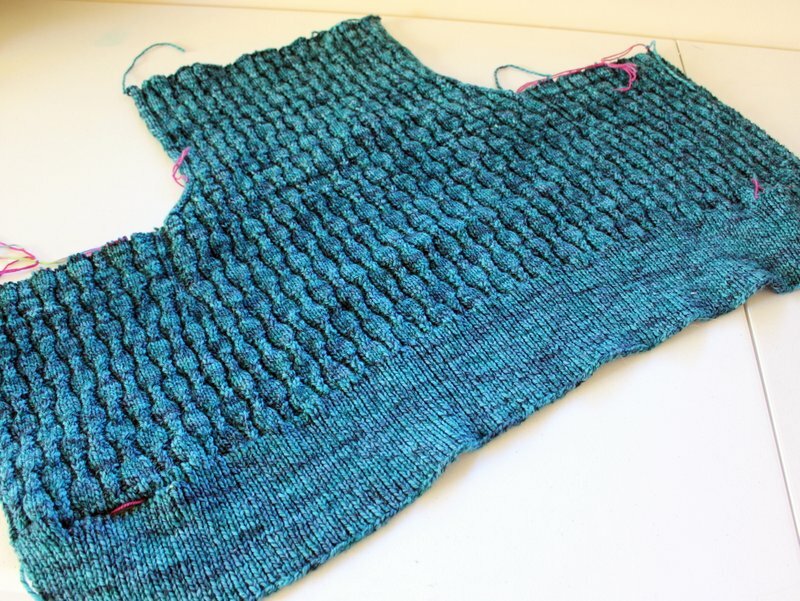 with the needles and yarn you plan to use and blocking that swatch to measure gauge is the only way to reliably choose an appropriate pattern size to knit. Sure, you can wing it, but I can’t handle that kind of cavalier attitude around large amounts of potentially wasted time. If I’m making a garment from scratch, by hand I want the damn thing to fit, and fit well, when it’s (finally) done. 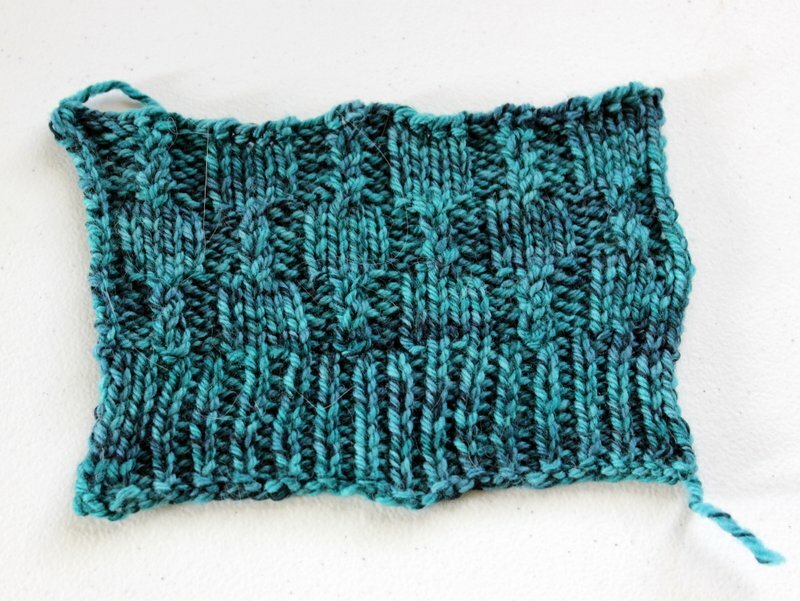 This ‘knit a swatch, measure gauge’ song has been sung by many others before, see some excellent tutorial posts by TinCanKnits here and Amy Herzog here. What I want to focus on today, is how do you know what to do with the gauge information derived from your swatch? What size do you actually cast on? The tricky bit is, all patterns approach sizing a little differently. Some tell you a letter size (like S, M, L, etc) and then give measurements in a schematic. Some tell you a finished size that the piece will measure right at the beginning. Other tell you a bust size in inches, that incorporates a certain amount of ease already, either positive (finished size is larger than the body size, for a roomy fit) or negative (finished size is smaller than the body size, for a snug/stretched fit). Read your pattern carefully to determine what information is available. In the pattern I’m knitting, Chocolate Stout, the sizes are given as a ‘typical’ bust size that already incorporates five whole inches of positive ease. That means if you choose to knit the 32″ size, it will actually measure about 37″ at the bust when finished. It’s all about the measurements. 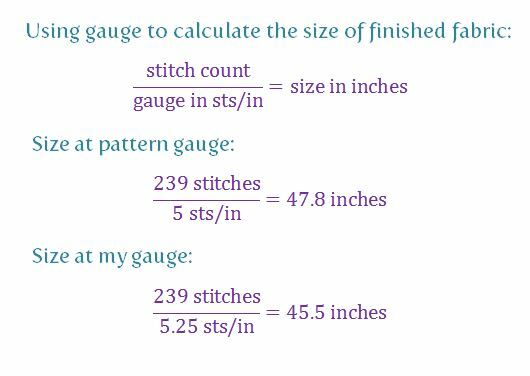 Only when armed with knowledge of gauge (pattern gauge was 5 sts/inch and 6 rows/inch, my gauge was 5.25 sts/inch and 6 rows/inch) and detailed size information copied down from the pattern schematic, can I determine what size I want to knit. It also helps to have a sense of what is flattering on your own body. For instance, I’m a larger and curvier person, and very oversized / baggy sweaters tend to look sloppy on me while they might look chic and comfortable on a thinner, straighter body. Therefore, if I just went ahead and knit the 46″ size based on my bust measurement, I might be unhappy with the oversized fit when I was finished. And here lies the dilemma, which size to knit? 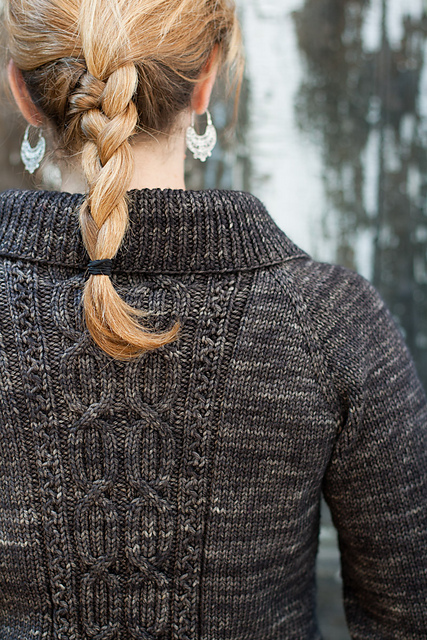 The math above should illustrate why it’s important to know your actual gauge when knitting a sweater. As written at the pattern gauge, the ribbing portion of the 44″ size would measure 47.8″ around the hips. In my gauge, the same piece of fabric would be two inches smaller, measuring only 45.5″. With my 47 – 50″ hips, I might not want quite that much negative ease there. But the 46″ size has 249 stitches in the ribbing section, which would measure 47.4″ at my gauge, so I’ll start there after all. I’m thinking of decreasing the 2″ for the waist shaping and then just proceeding with a smaller size around the bust area, rather than increasing back out again, to keep it a little more fitted around the shoulders. These are the kinds of decisions that I’ll have to make as I see the sweater develop. How do you decide what size to knit? Are you methodical about it or do you just give something a try? How much ease do you like in your garments?